Why Are So Many Pets Named Angel? Over the years, we have received thousands of animal stories from all over the world. Many of them have as their subjects cats, dogs, horses, rabbits, and fish with the name of Angel. Most pets receive names as babies before their personalities emerge, so people must associate animals with celestial beings. We chose to name our project the Angel Animals Network for the same reason that we think people look at an animal and the word angel comes to mind. Animals, like angels, bring out the best in human nature. They lift us up from despair to hope, from apathy to caring, from selfishness to service. Even if pets are called by other names, an angelic nature is evident from the glow of unconditional love in their eyes. And then there are animals who become heroes by protecting or saving the lives of others. Some are heroes with one courageous act. Others consistently give of themselves to bring joy and comfort to those who need them. Judy Moratis lives on a hobby farm in Ottertail, Minnesota where she and her husband have twelve miniature horses. One of the horses communicated to Judy that she wanted to be called Angel. Then Angel went on to live up to her name. We published Judy’s story below in the February 1, 2010 issue of Angel Animals Story of the Week. In 2003, my husband and I started looking into raising miniature horses on our hobby farm. I remembered when I was in my twenties, I saw a tiny miniature horse at the Minnesota State Fair. I began reading about them. The more I read, the more interested I became. I looked on the internet, hoping to purchase a miniature horse but without any success. When the weekend arrived, my husband and I took a drive to look at the horses. To my husband’s surprise the address belonged to his old friend, Wayne. Before I knew it the three of us were trudging through Wayne’s swampy field to get to his herd of miniature horses. There were so many of all sizes and colors. As we visited with Wayne and talked about the horses, I told him that I didn’t know how to pick from so many. Just after saying this, I felt a nudge on my back. I turned around to see a brown pinto mare. I told Wayne and my husband, “Well, guess she’s saying ‘pick me’.” This horse broke the ice, and I was able to pick a few more minis. Yah know, you can’t have just one. We finished visiting and then made arrangements for delivery. On the way home I told my husband, “The horse who nudged me on the back, her name is Angel.” I don’t know why, but the name just came to me. After the horse’s registration papers came in the mail, I couldn’t help noticing that Angel’s birth date was the same as my youngest sister, Jackie. My sister had passed away unexpectedly. My mother passed away a year and half later. Life wasn’t the same without them. My sister loved all animals. After she passed away, my mother began collecting angels. I think back to that afternoon of being out in Wayne’s pasture with all those horses, and Angel nudging me on the back. I believe the Lord was telling me my mother’s and sister’s spirits were with me. And this horse has proven to me that she truly is an angel. Angel saved a newborn foal in Spring 2009. One of my mares was a first-time mom who was having her foal early. She didn’t have enough mother’s milk, and her foal was getting weak. With only minutes to spare she needed more mother’s milk. I was afraid we’d lose the filly. erinarian had said, “A mare may let another foal nurse, but rarely does it happen.” I thought I’d see if Angel would let this newborn filly nurse on her. With Angel’s own colt nursing on one side and the filly on the other, it made for an awesome sight. Before long, the filly was standing strong and able to reunite with her mother. Angel has given us beautiful foals. She has become our herd angel master over eleven other horses. When we are outside, Angel stands modestly in our pasture. She gives a soft, subtle whinny, telling us she is near, and everything is all right. Linda K. Watts is a professor of anthropology at the University of Colorado in Colorado Springs. She wrote to us about a dream in which she saw a female artist who had created a small, gossamer, white and gold-laced pair of wings loosely attached to a lime-green harness. The artist showed Linda a charcoal drawing of two cats and a dog, both with angel wings. She asked Linda, “Do you know of an animal who has become an angel and whether the animal will stay that way forever?” Linda sensed that the woman was sad and had recently lost an animal companion. Linda writes, “I closed my eyes to ask that question inwardly of the Sources that Be. And I asked to be given the right words to say in order to answer the woman’s sincere question. Then the words came through me as I spoke to her. “‘I believe when animal Souls become angels, they take that form on the astral plane. Things that happen in the astral region, which is just beyond the physical realm, seem to take a lot longer than in the physical time-sense. But anything that forms on the astral will eventually change. Souls that at first, take an angel form, will go on with their journey.’” The answer relieved the woman, and Linda awoke from the dream. Linda thought about the dream’s meaning. That winter night, she had awakened and spoke to her two-year-old orange-white, golden-eyed kitten Emily who nestled between Linda’s legs to stay warm. Without thinking, she had called Emily various names that night — Angelica, Angelina, Angelique — trying to discover which was truly hers. Linda had settled on the name Angelique. Then she fell back asleep and had the dream in which the woman artist asked her the question about animal angels. Perhaps, unbeknownst to anyone who gives a name to a pet, there is a deep, hidden, inner name that reflects the animal’s true angelic nature. Perhaps the angel in each animal only needs to awaken the dreamer in all of us for truth to be revealed. 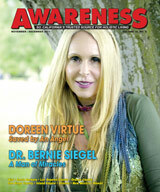 Allen and Linda Anderson are founders of the Angel Animals Network. Their new book, published by New World Library, is Animals and the Kids Who Love Them: Extraordinary True Stories of Hope, Healing, and Compassion. Allen and Linda are now offering an exciting course – Woof, Meow, Write, Publish: Writing about Pets and Animals for Love and Money at www.allenandlindaanderson.com. Subscribe to their free, online newsletter at www.angelanimals.net and follow them on Facebook and Twitter @angelanimals.